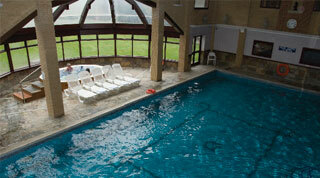 Superb heated indoor swimming pool with jacuzzi, two saunas and a steam room. Please contact us for further information about opening times, lessons and other poolside activities. 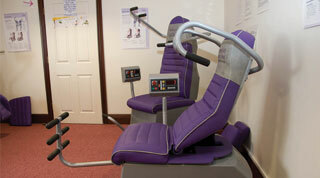 Our toning studio features a revolutionary power assisted exercise system, which makes getting into shape easy. Feel the benefits after each 30 minute session. On a hot summer's day nothing beats a refreshing swim in our heated outdoor swimming pool, surrounded by beautifully landscaped gardens and terraces. 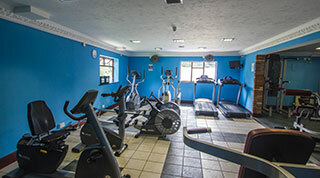 The Springfield Country Hotel has its own fitness studio, which offers a wide range of classes throughout the week. The timetable is updated regularly, so please check availability before booking. 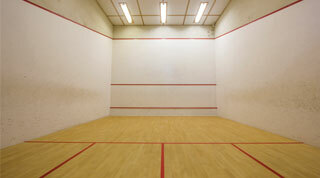 Whether you are into tennis, squash or racquetball, you can play all three sports on The Springfield Country Hotel's own courts. 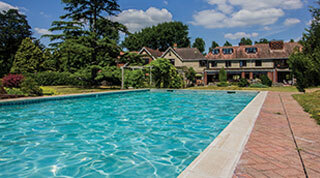 The outdoor pool is only open during the summer months - the indoor pool, Leisure Club & Spa is open throughout the year. Our games room is equipped with both full size snooker and pool tables. Feel great and look great with a tan all year round! We have a vertical super-fast tanning solarium available at competitive prices. Please Note: The Springfield Country Hotel, Leisure Club and Spa Reserve the right to close annually over the Christmas/New Year period. Member’s commitment to The Springfield Country Hotel, Health Club and Spa is for the whole year as specified. The member is liable to pay all monthly instalments for the entire membership year. The rate above includes VAT at the current rate of 20% this rate will vary legislative change. We reserve the right to alter subscription rates without prior notification. No refunds of membership subscription can be made on or after the period membership. Mark and Sophie are both qualified personal trainers and by appointment will be pleased to train and advise you.